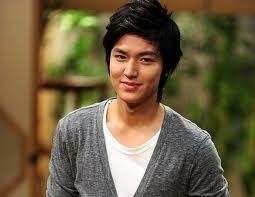 Lee Min Ho, a male artist from South Korea, which acts as Gu Jun Pyo in the television series Boys Over Flowers. He also played in several other films like But I Do not Know Either It and I Am Sam. Because of his role in the TV series Boys Over Flowers, Lee Min Ho has now become a very well known artist up to foreign countries, not least in Indonesia, and also many Balinese people idolize. It turns out Lee Min Ho has fallen in love with Indonesia. The proof, during a fan meeting in Jakarta, some time ago, Lee Min Ho wished to stay longer in Indonesia. In addition, Lee Min Ho also admitted love fried rice (nasi goreng), typical of Indonesian food. Lee Min Ho also expressed wish to visit the island of Bali. "I want to strip the holiday hot weather and fun like Bali," said Lee Min Ho. Lee Min Ho even want to invite the whole family to enjoy the exotic island of Bali, which according to him. Lee Min Ho's hope his wish come true in the near future. The desire of course is a very reasonable thing for people who know about Bali. Because the island is very famous throughout the entire world.